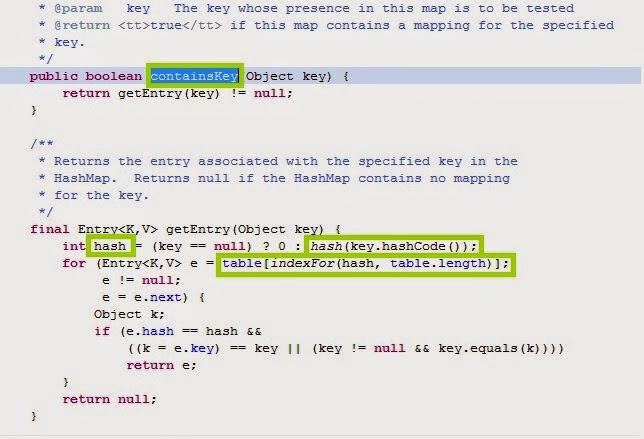 Why Keys should be immutable in HashMap? 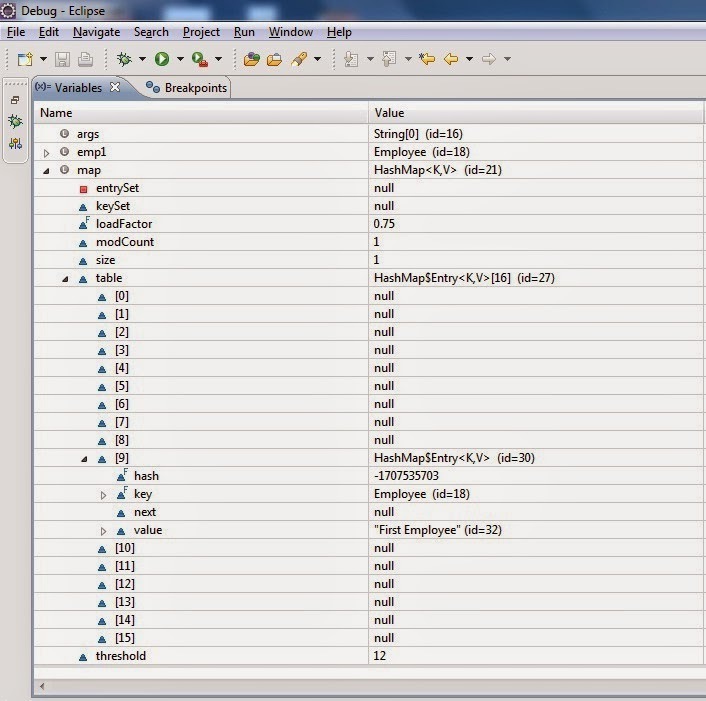 We have an Employee class and we are inserting the object of this class as key in HashMap. On the basis of Employee objects hashcode , hash function and indexFor , the data goes in 9th bucket(table).Below is the analysis of same. See the analysis of the same. The put method internally uses the hashcode of the object and calculates the hash and indexFor to find the bucket number. It has inserted in bucket 9. When you use containsKey function , it uses the hashing functionality to find the bucket number. Now as we have not changed the state of the object , the calulation of hashcode , hash and indexFor will return 9 and it will search in 9th bucket only and will display true. Now let us see what exactly happens if we change the state of emp1 object. We have changed the state of emp1 object by changing the name from Robert to John. Let us analyse , what is happening when we change the state. The containsKey function uses hashcode , hash and indexFor function to find the bucket number where it should search for the object. The containsKey get a different hashcode , hash and indexFor values as the sate of the object is changed. It will search in a different bucket this time. So when we inserted the object the indexFor calculation was based on one state and after we change the state of the object , the hashcode changes and thus might result in searching in a different bucket and result false. Thus it is suggested that the Class whose object is inserted as key should be immutable , which means you should not be able to change the state. To make a class Immutable in a general way , make the class as final and member variable as private and final and remove the setter methods associated to the member variables. The Class whose object is inserted as a key should be made immutable , which means that you should not be able to change the state of the object. Hi Ganesh.. Is there any possibility that the emp object will be searched in the same bucket even after modifying the state of emp object with some different value? Hi , For two different hashcode , the bucket number(index of Entry  table ) can be the same.As the indexFor method will try to get the index between 0 to 15 for the HashMap having default 16 buckets. 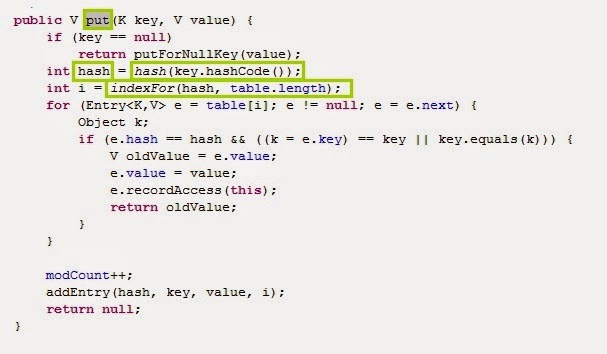 It also depends on the way you implement hashcode method of Employee class.